Dog bad breath: curse of small dogs? Almost every toy dog over 2 years old has it: dog bad breath. And I mean BAD. But it’s not inevitable. How can you conquer your Morkie’s paint-melting, powerfully bad breath? Yesterday we looked at dog teeth cleaning, let’s look at the other half of the problem: dog bad breath. 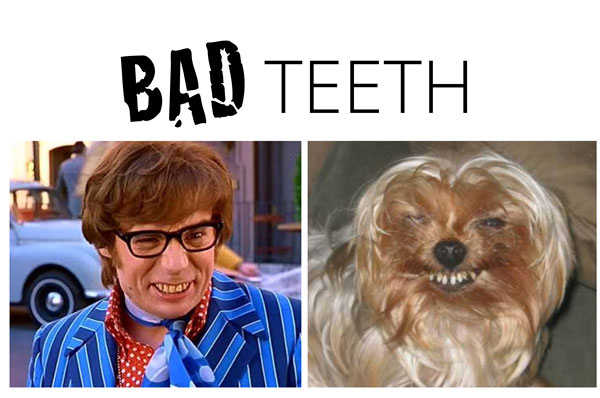 Yorkshire Terriers are renowned for having terrible, awful teeth. Naturally this contributes to their dog bad breath. The problem is that their little jaws are overcrowded with teeth, so tartar is more likely to build up, becoming plaque, tooth decay and gum disease. This is the case for virtually all small dogs, but it’s even worse with the Yorkie. The Morkie’s other parent, Maltese dogs, don’t have quite the same problem. Daily brushing is the only real solution; although as we saw in yesterdays’ post, water treatment can help too. -illness or a more serious disease, like kidney disease or liver problems. – diabetes. The AKC warns that sweet, fruity breath is a symptom of diabetes, a serious but treatable condition. Talk with your Veterinarian right away. Once you’ve satisfied yourself that your Morkie’s bad breath is caused by buildup of plaque and tartar, and not something more serious, here are some steps you can take to address the problem. probiotics – try EvoraPet for dogs. It will also help overall health of course. coconut oil – like what doesn’t it fix? Add a little spoonful to your Morkie’s water. Neem is another botanical treatment. You can buy Neem Extract in health food stores, or order Neem Leaf Extract online. A sprinkle of cinnamon can freshen breath. 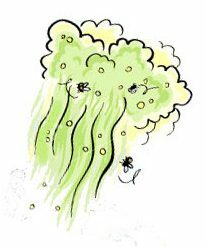 wheatgrass; its chlorophyll can help tone down the bad in bad breath. TropiClean Fresh Breath for dogs. Water additive that fights tartar and plaque. Mints, gum, etc. made for people. These cover ups usually have sugar, 0r worse, Xylitol which is very poisonous for dogs. Doggy mints are pretty much useless in addressing the root cause. Chewable products like Greenies are OK, but for a small dog, can be difficult to digest. 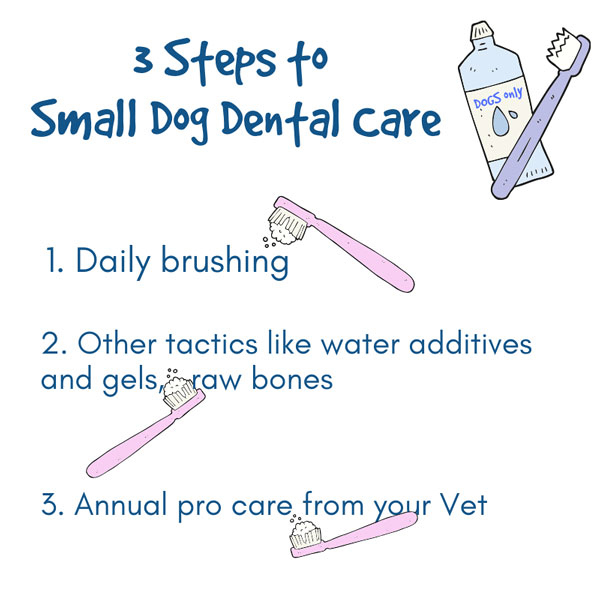 Read more about dental care and your Morkie here. And check out some doggy teeth factoids. Does your pet insurance cover dental work? 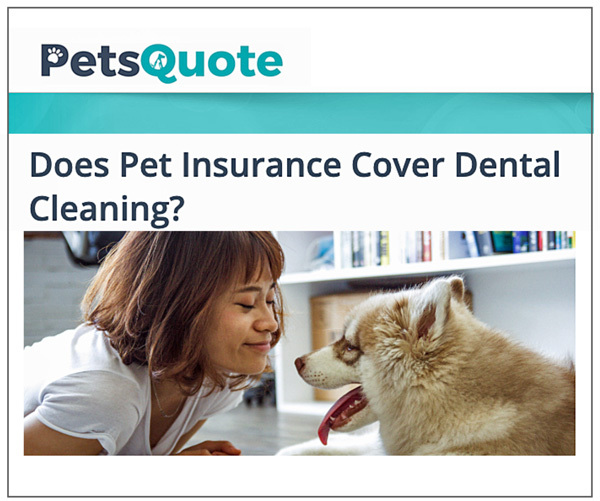 Did you know that some pet insurance policies cover dental cleaning and other maintenance, as part of a wellness coverage plan?